Ever wonder whether you need to create a Summary List or a Detail List when designing a Jet Report? Or better yet, ever wonder what Summary or Detail Lists actually are? Building dynamic reports is one of the most powerful features of Jet. Learn the differences between Summary and Detail Lists, the criteria and decision process to determine which type you need for your report, and how to use the NL and NF functions to create them. 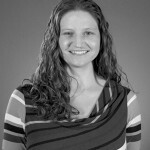 Passionate and dedicated, Sarah has perfected her craft for over 13 years at being a Jill-of-all-trades in data, reports, and Dynamics.